Through our support services, we help clients build on their strengths, access existing government and community resources, manage their health, and live richer lives. While many of our support services are wrapped up in our housing-first approach, we operate two “hubs” for community-based support services: the Clubhouse and the Resource Centre. Both offer a wide range of social, health and well-being, and employment and education opportunities. Other support services include our financial Trust Program, Street Outreach Program, Peer Support Program and our Art Room. Coast’s Clubhouse located in Mount Pleasant offers social, recreational and employment and education opportunities. Each day, Coast clients and staff work together to ensure the smooth running of Coast’s Mount Pleasant Clubhouse. To be part of the Clubhouse, clients must become members and have the opportunity to work with an employment counselor to develop a Clubhouse Goal Plan. This plan is the blueprint for how the member will contribute to the Clubhouse community while developing workplace and social skills. Members can choose from three employment units: food services; environment; communication. While at the Clubhouse, they can also enjoy a low-cost nutritious meal, participate in a variety of recreational activities, and use the free laundry facilities. Two employment programs are also run from the Clubhouse: the Transitional Employment Program; and Landscaping with Heart. Educational opportunities available onsite include the Coast Adult Learning Centre and English for Life ESL classes. Anyone who receives services from Coast can also apply for assistance from the organization’s Education Assistance Fund. 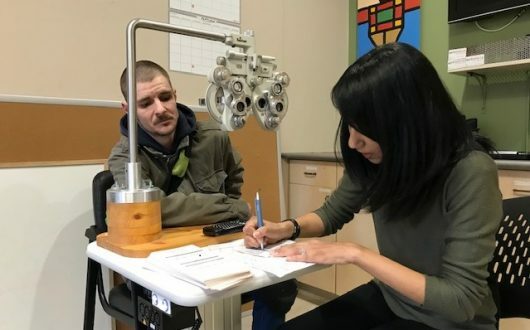 The Coast Clubhouse is located at 293 East 11th Avenue in Vancouver and is open Mondays to Thursdays from 8 a.m. to 4 p.m. and Fridays from 8 a.m. to 6 p.m. If you would like to become a member, please call 604-675-2357 for more information or drop by in person. Check out the Clubhouse Activities Calendar for what’s happening in April 2019! Both the Resource Centre and Clubhouse offer delicious, healthy meals for a minimal cost. Coast’s Resource Centre is a place to come by for a meal, to do laundry, have a shower, shop in a low-cost canteen store, and socialize. The Resource Centre meets people where they’re at and focuses on building relationships, trust and help people improve their health and pursue recovery. 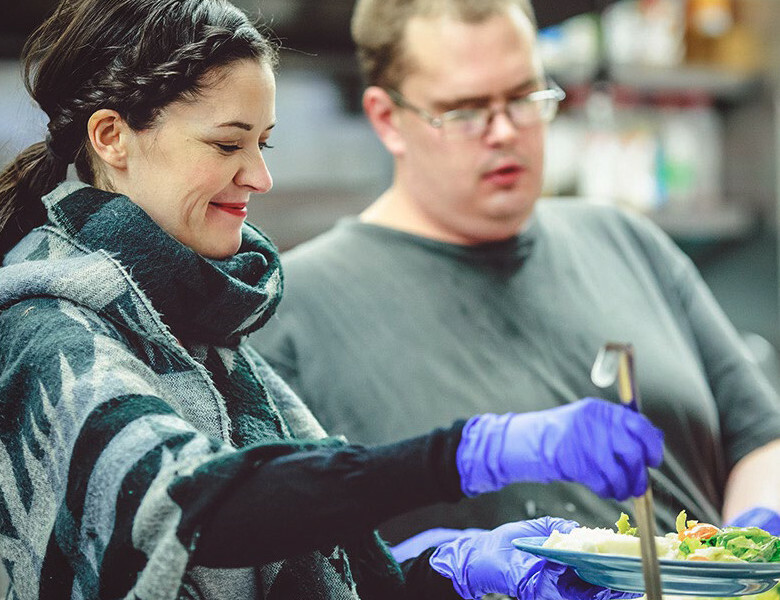 In addition to offering low-cost breakfast, lunch and snacks, it’s home to some of Coast’s most popular and successful support programs, such as the member-run art room, community health nurses, community garden, peer support worker program and the homeless outreach program. 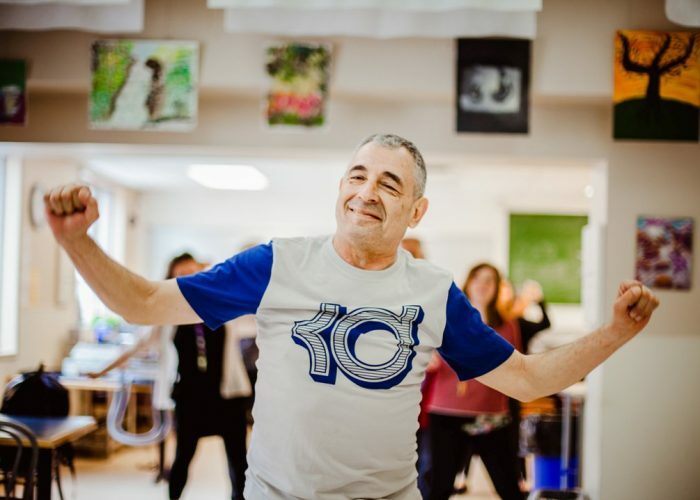 Other regular programs include running groups, yoga, music classes, and music and games afternoons. Serving more than 500 active members, the Resource Centre is located at 1225 Seymour Street in Vancouver and is open seven days a week from 9:00 a.m. to 4:45 p.m. Please stop by for more information or call 604-683-3787. Check out the Resource Centre Activities Calendar for what’s happening in April 2019! Living with a mental illness can leave you vulnerable, both to mistakes you make yourself and to situations where others take advantage of you. Coast Mental Health’s disability trust program helps clients protect and manage their financial assets. In simple terms, a trust is where someone (the Trustee) holds money or other assets for someone else (the Beneficiary). British Columbians with “persons with disability” (PWD) status have a restriction on the amount of assets they can hold. However, a disability trust (also known as a Henson trust) allows persons with a disability to manage the benefit of a lump-sum payment (such as an inheritance) and improve their quality of life without losing their PWD benefits. Coast is authorized under the provincial regulation to administer trust funds of up to $500,000 within British Columbia. Currently, we have approximately 300 trust clients and $13 million under management. While most Coast trust clients receive PWD benefits, it is not a requirement for participation in the trust program, as some clients receive CPP or private insurance benefits. Funds may be used for disability-related purposes, including anything that promotes the independence of the beneficiary. 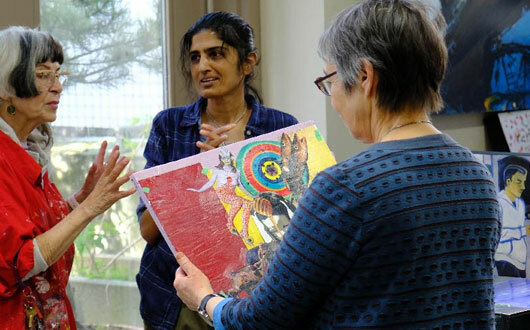 Coast’s disability trust program is generally for people with a mental illness. However, Coast makes exceptions in certain situations for individuals with other disabilities. Coast’s Outreach Team connects homeless and people at risk of homelessness with vital community services. 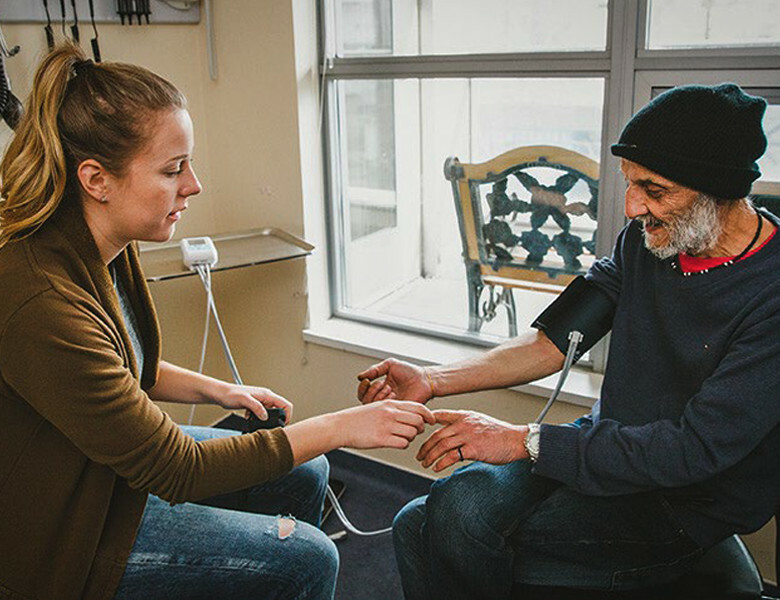 Coast’s Street Outreach Program is often the first step towards recovery for people who are homeless or at risk of homelessness in Vancouver’s Downtown South neighbourhood. Four full-time street outreach workers canvas the streets six days a week to encourage people to take advantage of the nearby Resource Centre which offers free showers and laundry services, low-cost meal programs and other services. For people looking for more help, the street outreach team can fast-track clients through the Ministry of Social Development to receive income assistance, assist clients with housing searches and applications, help them replace lost ID and refer them to other harm reduction, healthcare, and addiction services. Coast has connected more than 600 homeless people to services through this program. The Peer Support Program, including the Young Adult Peer Support Program, is a community service operating out of Coast Mental Health’s Resource Centre. 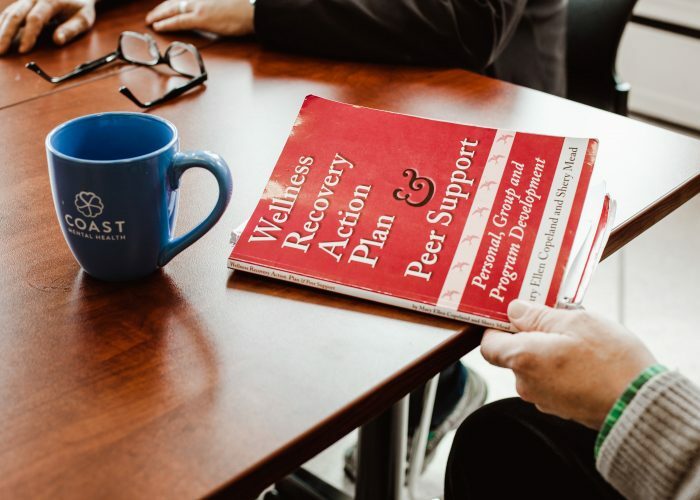 The program taps into our clients’ lived-experience of mental illness and trains them to use their firsthand understanding of the challenges of recovery to support other clients. Training usually offered twice a year. Coast clients who are ready to share their life experiences can apply for training, which is usually offered twice a year. Successful applicants receive 90 hours of class time following by a three-month practicum. Following the practicum, trainees are either placed in a position or are able to bid on a variety of job contracts, most of which have a six-month duration. 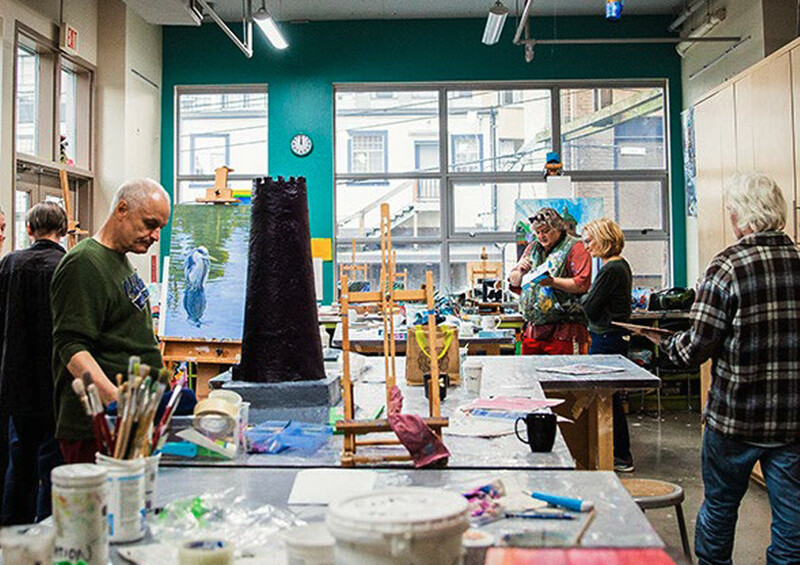 Coast’s Art Room allows clients to discover their creative potential and develop new ways of expressing themselves.